The natural feel of a land guarded by the vast shining ocean and majestic towering mountains: How does a vacation sound here where every season is like a beautiful tapestry woven against a natural backdrop. 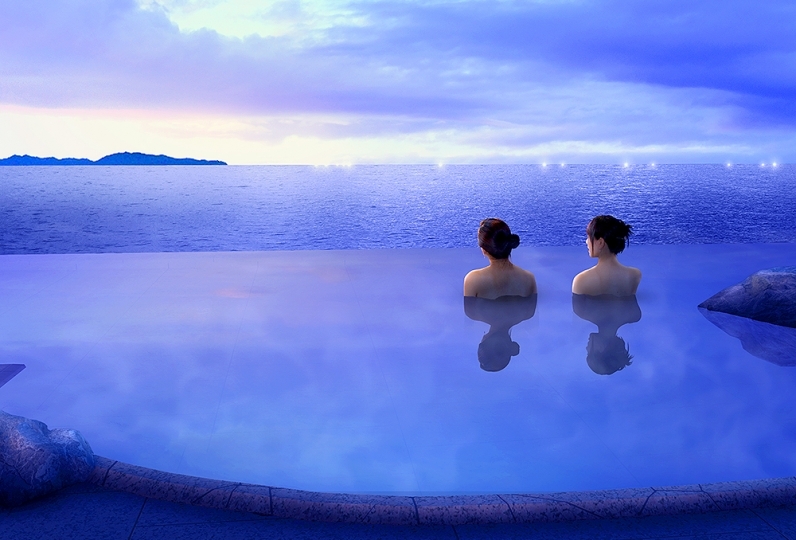 The Kaike Hot Springs are one of the most famous hot spring spas in Japan. Left untouched by the passage of time, the hot spring hotel at Kaike is committed to the long tradition of Japanese service and will help you pause to capture this majestic scene. 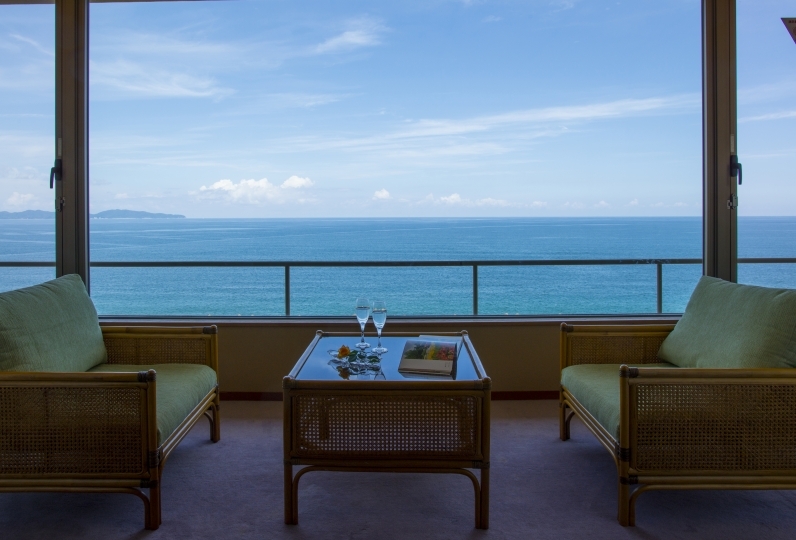 Each room is fitted with an ocean view and a Jacuzzi where you are able to soak comfortably while enjoying the exquisite view of the ever expanding Sea of Japan all to yourself. At evening time the setting sun gently lights up the ocean. 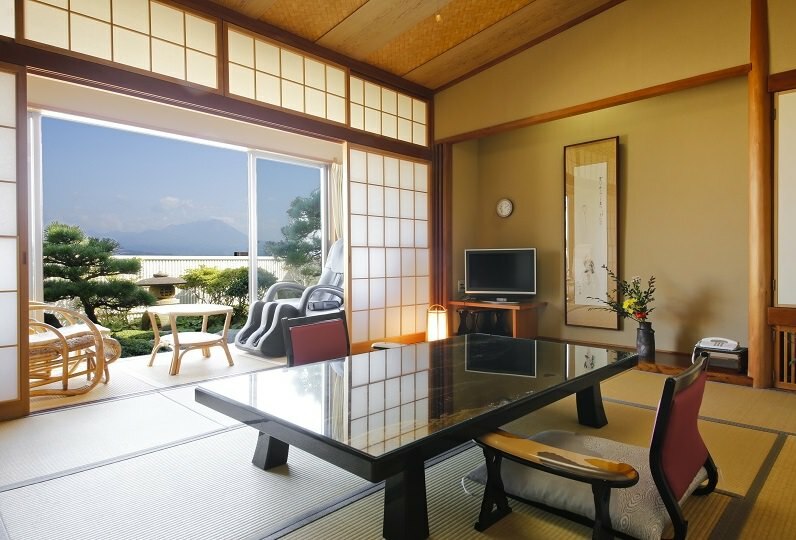 The rich and abundant traditional Japanese foods made from the bounties of the land are brought directly to your room. Find satisfaction in the luxurious flavors that can only be found here. Let this picturesque Japanese scenery restore you. Leave the hustle and bustle of your every day schedule and spend a blissful and careless moment here. A wonderful experience. No matter the food quality, customer service, facilities and value-added service, there is no do... Read more A wonderful experience. No matter the food quality, customer service, facilities and value-added service, there is no doubt as excellent in my mind. I appreciate everyone in 湯喜望 白扇 to offer us an excellent experience and birthday trip of my wife. A wonderful experience. No matter the food quality, customer service, facilities and value-added service, there is no doubt as excellent in my mind. I appreciate everyone in 湯喜望 白扇 to offer us an excellent experience and birthday trip of my wife. 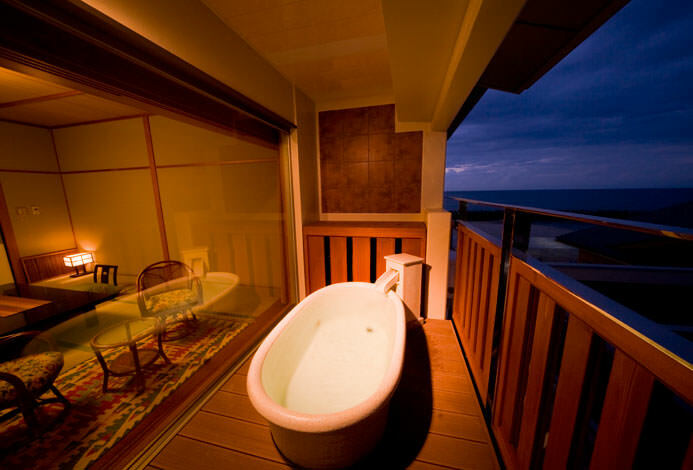 As it is seaside ryokan, it may not be done, but room was porch, open-air bath of room was feeling that was old-fashioned, too. It was not a good deal, it was not a good thing to eat, and I didn't feel that I left out of the checkout. When I entered the reception desk I was also concerned about the pomade or eau de colonic smell. Thank you very much for providing a wonderful time with her. In addition, we will consider staying when going out to San-in. It is said that fishermen discovered hot water boiling on the coast in the year 1900. The hot spring that comes from under the sea has vast minerals and has a great amount of efficacy. Experience natural thalassotherapy. In Tottori's dialect, 'dandan' is 'thank you' and 'nokkari' is 'leisurely'. Leave behind the hustle and bustle of the everyday and appreciate hot spring, which is a blessing of nature. Experience natural thalassotherapy. ※"Dandan" and "Nokkari" are both rock baths. By feeding water into the heater, it creates negative ions. Enjoy the sauna's charm. The temperature is 70 ~ 80 ℃ with a humidity of 25% so that you can enjoy the sauna more leisurely. The heatwave is timer based. After salt water bath with topical effect, you can enjoy ultimate relaxation with outstanding relaxing aroma. The aroma steam sauna has 100% humidity that gentle to the skin with a temperature of 50°C. 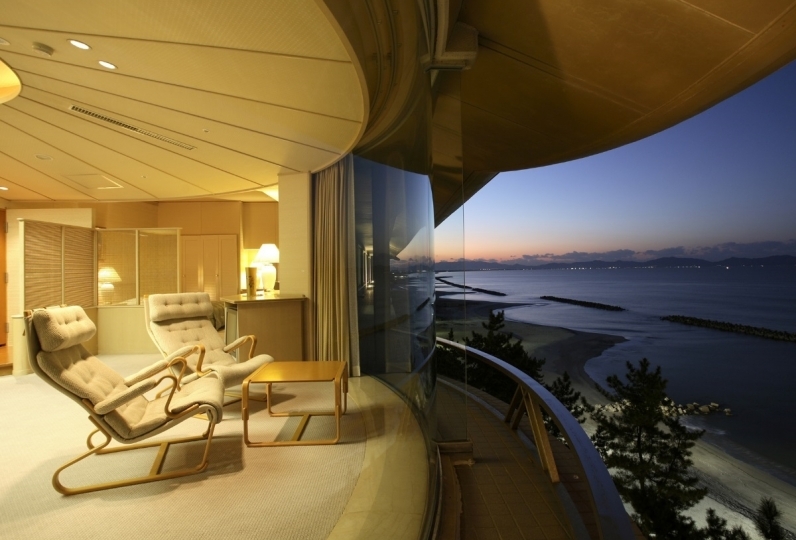 You can enjoy looking at the sea of Japan while reading or drinking. Because it is located on the first floor, it can be used for sight-seeing information or a meeting area for after a bath. There is also a massage chair.